Wow, it's already day 4, the final day of June reveals? These weeks always go so fast! 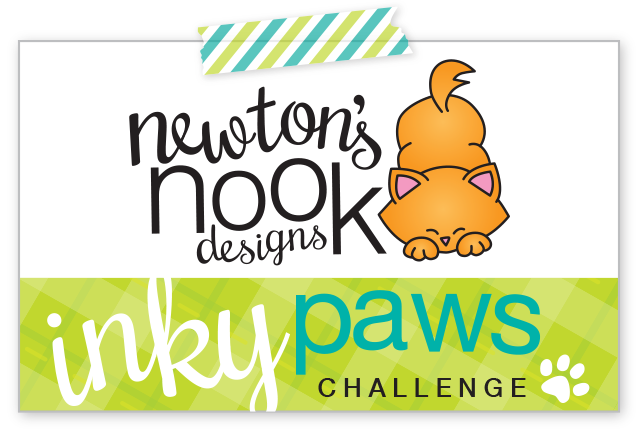 But that means, tomorrow all the new products will be in the Newton's Nook Designs Store! 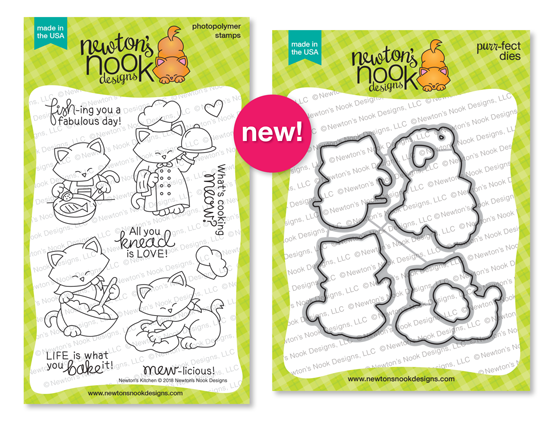 Today we're showing off a matching stamp/die set called Newton's Kitchen. I absolutely all these adorable Newton images in this set! I ended up coloring all of them, then choosing 3 to mount on some matching rectangles! That little chefs hat is sooooo cute, don't you think? I hope you've enjoyed my project today, make sure to keep scrolling and comment to WIN this set!!! Thanks for stopping, happy shopping! Would you like to win the “Newton's Kitchen” Stamp Set? I think this is a fun design. and it always looks great. Cute new set! Love the way you colored Newton on your fun card! This is a beautiful card! Love the bright blue colors & the way you colored the cute pictures of Newton! Great card showcasing so many images! Cute design with the rectangles and I like the colors. What a lovely card ! I love your sketch and Newton is so cute !! Love how you included so many Newton kitties on your card! Such lovely coloring! Very cute, that is such a nice card. I love the layout with the bright colored squares! beautiful card, I love the cats!